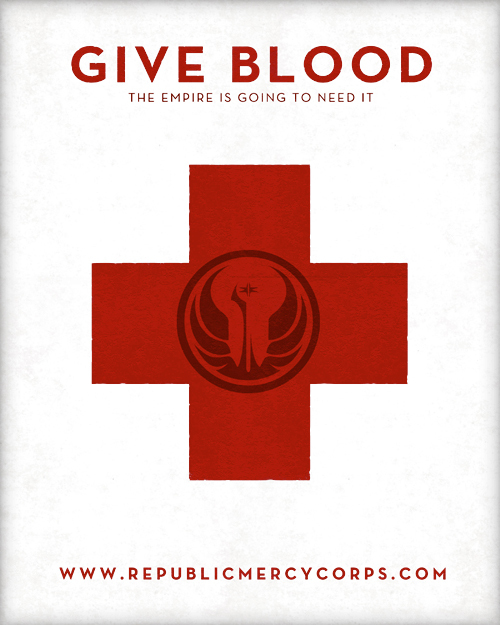 How did the concept for this guild come about for the Republic Mercy Corps and Imperial Mercenary Corps? Once the concept was finalized when did the guild become a reality? Ryan: Both Mark and I were selected for SWTOR beta testing very early on in the process, when there were maybe 300 people in the public program. In those first months there was a high discrepancy between Republic players and Imperial ones (leaning to the Empire), and when playing Republic it was hard to find other people to group up with. This coupled with the fact that we are both PST and work full time, so most people were logging out as we were getting on. Over time I guess we just migrated towards one another, and at some point we just started planning complimentary character for each new testing phase. When they first introduced guilds to testing, we started one on a lark. A fellow tester we had a friendly rivalry with had started an Imperial guild called Imperial Knights, and so as a joke we formed Republic Daze. 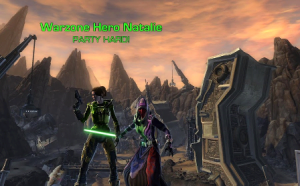 When that phase ended we stayed in touch with a few friends from testing who had been in Republic Daze with us, and in the next testing period made an Imperial guild called ‘PARTY HARD!’. The foundation of the RMC and IMC was built on the friendships we made during this testing phase. At some point while running a quest on Alderaan, Mark asked in passing if I would be interested in taking what we had started, and forming a guild for live. I had been thinking the same thing for some time, and was eager for an opportunity to form a gaming community built of friends who shared ideas about how they wanted to experience the game. Our goal initially was to just form a Republic guild, as that was where Mark and I had planned to end up. A few of them were firmly interested in going Imperial. In the end we were unwilling to lose these people, and so we began discussing the idea of forming two guilds, sisters on opposite sides of the fight whose stories were built from the same foundation. By the time the next testing phase has begun, the Republic Mercy Corps and Imperial Mercenary Corps had been formed. It was Mark who found the name for the RMC, while researching the lore surrounding Revan’s history. The IMC’s name came after, as we wanted something that related its Republic counterpart, while still maintaining the separate spirit of the Imperial guild’s story. From there on out, through the rest of beta and into live, we carried the RMC and IMC. At launch I would estimate that at least 75% of our membership came from people we had met and befriended in beta. This made a much stronger launch than we expected, as we already had a history behind us to bind us together. This guild, both RMC and IMC, have unique back-stories. Can you share how the story was developed first the Republic side and then the Imperial point of view? Once the name was determined for the Republic Mercy Corps, we had our foundation. The challenge from there was to form this base into something usable by both factions. We knew we wanted our stories reflect our ideals – to form a guild that was social, friendly, helpful and independent. Between Mark, myself and three other founding officers we passed ideas back and forth, and from that I built an outline that became the lore. They start from the same core, and then grow into their own unique stories that embody the concept of the respective factions. We also wanted the lore to allow individuals in the guild to build their own stories based around what we had created, so we tried not to include too many ‘restrictions’. This allows all shades of light and dark, important to BioWare’s game, to still work within our story. Since the multi-faction guild was rich with so much story elements, was it an easy decision to be located on a RP (role-playing) server? Ryan: To be honest, the decision to roll on an RP server was equal parts a desire to inspire some light RP in guild, as well as a hope that we would find a more mature and positive community on an RP server. We had all had pretty bad previous experiences playing on PVP or PVE servers in other games, and even in beta testing the rank immaturity in general chat was appalling. Our hope was that on an RP server we would find a more balanced and welcoming community who more closely shared our ideals for the game. That’s not to say that we did not appreciate the RP aspect, or that we wouldn’t have created this lore had we rolled on a standard PVE server. We all very much liked the idea of having a solid story to build the guild on, and an angle to use when making decisions about our characters. How important is actual role-playing in the guild? What is the draw on being a part of a role-playing guild and server? What is the name of the role-playing server that both factions can be found? Ryan: We are not a heavy RP guild – only a few of our members participate in RP events. We do what we can to encourage them, and help them out, but it’s not a focus for us. Like I said above, the lore was more a metaphor for our ideal and values as a guild. It does provide a fun jumping off point for players who want a more personal connection to their characters and the story, but we don’t require any RP adherence. For most members, RP is more about picking a MO for their characters while leveling. They make decisions and choose actions based on a personal story, but the RP doesn’t extend past there to in game chat or interactions with other players. We have been very lucky so far on Sanctum of the Exalted. BioWare’s refusal to enforce any RP standards in naming or behavior is a little disappointing, but overall our server community seems friendly and positive. Bioware has a lot of story in SWTOR. Does this take away from the role-play aspect or does it enhance it? Have you found more people getting into some form of role-play in this game because of the “decision” moments and everyone’s character having a story? 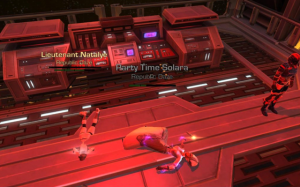 Ryan: I think most of us find it both easier AND harder to RP in SWTOR than in previous games. For people unaccustomed to any RP, it’s much easier to get involved with your character thanks to BioWare’s built in story. They become people more than just avatars, and it’s easier to see them as such. On the other hand, guild members interested in more involved story telling often find the stories restricting. I can’t speak for everyone, but I can say that for me, I try my hardest when playing to think in terms of the character I am embodying. I know what they would do in a given scenario, but BioWare does not always provide that option to me. Hopefully more will be added to the game in the future to facilitate this same storytelling, but in a way that players can mold to their own experience. And then of course there is our lore, and how these stories fit into it. Some work very well (my imperial agent operatives storyline in perfect for the IMC), and others you just have to take with a grain of salt. Revan plays a big part of the guild’s lore in both factions, even to the point of the entire guild seems to be on its own faction? Do you think that this type of middle ground area could benefit the game enough to be a separate faction? Ryan: Mark is a big fan of Revan, and given our chosen guild name, it was natural for the man to play a big role in lore. We wanted to find a way to incorporate this iconic figure into our story without stepping on too many canonical toes. He is important to BioWare, and any fan of the KotOR series, and it was important that we not get too involved with his history. 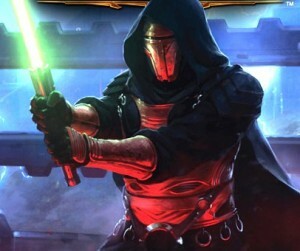 We did like this idea that Revan was neither Jedi or Sith, and this was influential in the writing of our lore. The Republic Mercy Corps fights for the Republic, but is not OF the Republic. They stand alone, independent in their desires for the future of the galaxy. As well the Imperial Mercenary Corps are not Imperial, but rather a band of refugees engulfed by the Empire in their conquests, who now work to free themselves from the yoke of any masters. It’s like both the RMC and the IMC still embody their factions’ light and dark stereotypes, without embodying the factions themselves. As for a ‘middle ground’ in BioWare’s world, I believe it will be player created. We have been kicking around the idea in guild for some sort of cross over story, to tell how these two separate organizations found each other years later, and came to learn that they were planted of the same seeds. At some point the purpose of choose to play in an RP environment is for the players to take the reins, and make the story their own. This ‘middle ground’ could very well be our addition. Along those faction lines, do you all see there being a big imbalance in the game? Do you think a third faction could help or perhaps you both have another idea to help? Ryan: I can’t really speak to this. There are generally imbalances, but who’s to say if adding a third faction would just further disenfranchise factions who are already hurting. And like I said above, we really like the idea of players taking their stories into their own hands at some point. There is a limit to what BioWare can provide, and the long term health of the game relies in some part on the players generating their own content. As leaders in the guild, one on each side of the factions, how has the game been so far? Ryan: It is very hard to run two guilds efficiently, keeping everyone happy and giving both factions the attention we feel they deserve. It wasn’t an appealing choice, meaning Mark and I having to split ourselves between the factions. I consider Mark a good friend, and this division has meant we get no time to run characters together. But in the end it was a necessary arrangement to make sure no one side got neglected. I won’t lie, we had a rocky start. As we got people settled in, and we were figuring out the details required to make two halves work as a whole, there were complications and hang ups. We have made a lot of mistakes in the process, but we are getting better, and there has been no major drama so far. It just means both guild leaders, and our officers, need to put in 110%. I will say that we could not have done it without our founding officers. Pat, Taylor, Steph, Heather, Trent, Mike, Chris and Ashley have all saved Mark and my asses from the fire more times than we can count. What are some areas you would like to see improved in gameplay and along guild mechanics? Ryan: Our hopes for guilds are pretty much the same as everyone else – guild banks, a better guild UI, and more tools for keeping in touch with guild members. We have a really nice set up on our forums, with a calendar to schedule events, but we can’t require or expect all out members to check it regularly. Something simple in game that helped up list upcoming events would be really helpful. What class and advance classes are you each playing? Do you find yourself sticking with one character or have you filled up your character creation slots already lol? Ryan: I am playing Nadea, the Imperial Agent Operative as my main. I recently gave up my much-loved DPS spec for a full heal spec, to help out more in guild operations. My main alt is a scoundrel I am leveling in the RMC. I do have my slots filled, but the rest of the alts are pretty much just to hold my names. I am very attached to my character names, and take them with me to every MMO I play. Each one holds a basic foundation for a back story and motivation, and I tend to pick classes for them that fit their imagined M.O. Mark: I was dead set on rolling a Consular Sage at launch. Sage was my true love early on in Beta, and the class I ran alongside Ryan’s Trooper Vanguard. I enjoy playing support roles. However, my first 50 is a Trooper Commando DPS build. I was specd full Healer on my road to 50, but the needs of our post 50 guild required that I respec to DPS. I’m really enjoying the change. In regards to character slots, between the two factions, I have filled up all 8 character slots. I am really stressing out about what new races will be available when the Legacy system is actually implemented. I can’t possibly delete any of my characters! I have an attachment to my SWTOR characters like no other MMORPG. Alt-itis is also very much a problem in this game. I really enjoy playing all of the classes. They feel and play very differently from each other. Is the guild, either faction recruiting? If so what steps do they need to go through to apply? In the spirit of rivalry, why should a person choose the Republic faction of the guild or why should that person choose the Imperial side? Ryan: We are always open to bringing in new players who like what we are about and think the RMC / IMC would be a good home for them. We encourage our members to reach out to any unguilded players they get to know and think would be a good fit. We aren’t interested in cattle call recruiting through chat spam or random invites, but neither are we opposed to giving anyone interested in us a try. We like our status as a niche ‘boutique’ guild, geared more towards a certain type of player, but that’s not to say we would not be thrilled to have more like minded and friendly people in the fight alongside us. As for faction rivalries, it’s limited to friendly smack talk over vent, and when we meet up for our guild vs guild PvP events. Otherwise we encourage all our members to have characters in both guilds, to better experience all the game, and get to know everyone better. Creativity is not just in the guild’s backstory, but both factions have some amazing recruiting posters and in my opinion great video concept. Who came up with the poster ideas and video? Was there a guild competition to make these or just volunteers full of creative brilliance? Ryan: I work for a graphic design agency in Hollywood, and the nature of the business often gives me bursts of downtime between projects. When we were getting the guilds off the ground, I had a lot of time and creative energy to spend on promotion. At the time there were a lot of unofficial contest on the SWTOR forums for guild promotion, so I made promotional material to enter into these, in hopes that it would build some name recognition. Since live this creative endeavor has taken a nosedive unfortunately. Managing two factions keeps me pretty busy in whatever downtime I have. At some point I’m sure the itch will return, and I will knock out more content. Are there specific classes either faction of the guild needs more than others? Ryan: From the start we encouraged people to play what they wanted first and foremost. I’m sure this is slowing us down at endgame, but we would rather be a guild that encourages people to enjoy the game on their terms, rather than be forced into a needed role. We do try to keep people apprised of what we are lacking when they are mulling over alts, but that’s about it. When dual spec’s get implemented I’m pretty sure any role problems will melt away as well. 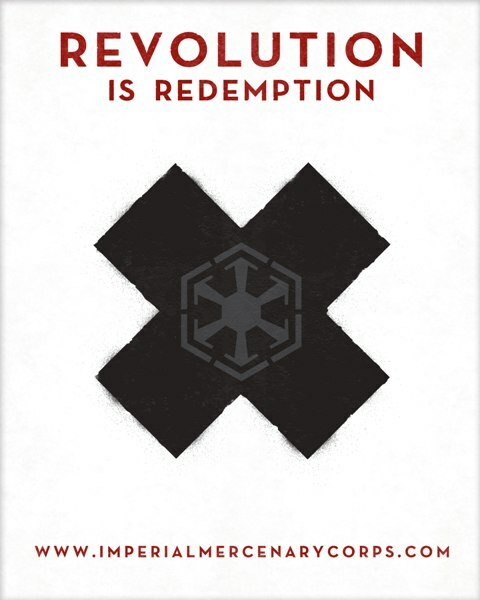 As for faction, it is our Republic side that is lacking lately, strangely enough. We launched with three times as many republic players are Imperial ones, and we were initially very worried about our imperial side being able to maintain, but over time the balance has shifted, and not we have more imperial players on than republic ones most nights. We are working harder right now to recruit more Republic members. Mark: Yes, Republic. I think I’ve lost half my faction to the IMC. Being bad must be more fun. How is the best way for folks to contact either of you and your respective factions within the guild? Ryan: You can find us online at Republic Mercy Corps and Imperial Mercenary Corps websites. Our lore and more information about us, is available there. You can also find us on the Sanctum of the Exalted server, of course. I tend to be on Nadea (IMC) or Naadea (RMC). Mark: I can often be contacted in game on my Commando Maric, although since I hit 50 I’m often assisting others guildies in their leveling among my many alts. I would suggest an in game email to Maric, or contact us through the website that Ryan has provided. Huge thanks to both Mark and Ryan! They both were amazing in all their help with gathering information and answering the questions. I also want to give shout outs to all the RMC & IMC roster of guild members. You all are doing a great job. Does your guild have an interesting story or lore behind it? Let us all hear it! So if are you in a guild or a leader in a guild, why not contact me and see if we can tell the community about what you all are doing. Just submit your guild’s website and some basic information in an email to me at, jason@corellianrun.com. Look forward to highlighting more guilds here at Corellian Run Radio. Thanks and see you next week!